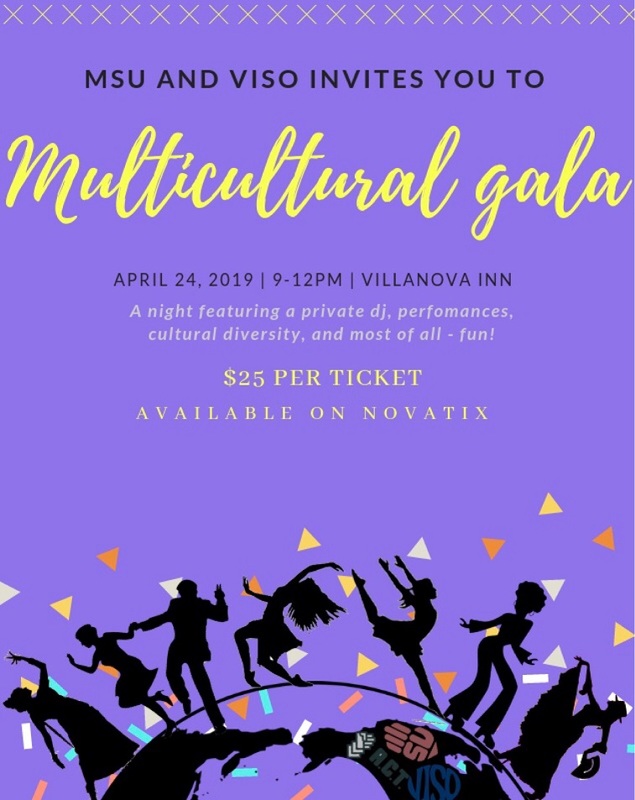 The Multicultural Gala is a festive night dedicated to the celebration of Villanova's diverstiy through music. With a private DJ, the night will feature Western Music, Afrobeats, Latino Music, K-Pop, and more! Come ready to dance and have a great night. The Gala will be on Wednesday, April 24th. Light refreshments and transportaiton wil be provieded as well. There will be a cash bar for those 21 and over. It promises to be a fun and exciting night. Get your tickets now!